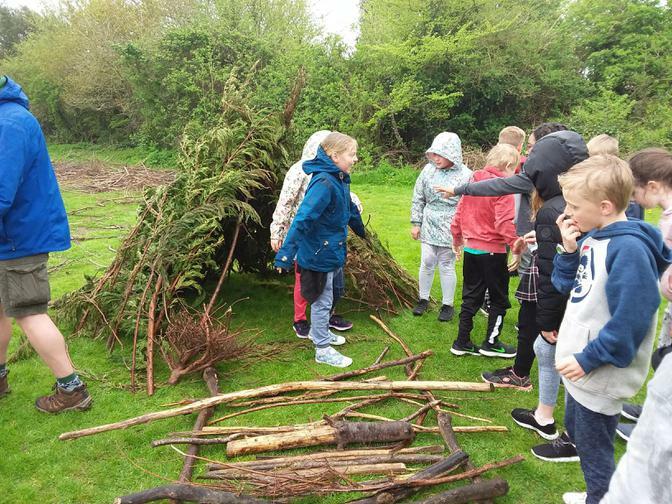 Today the children went and checked on their mammal hotels. 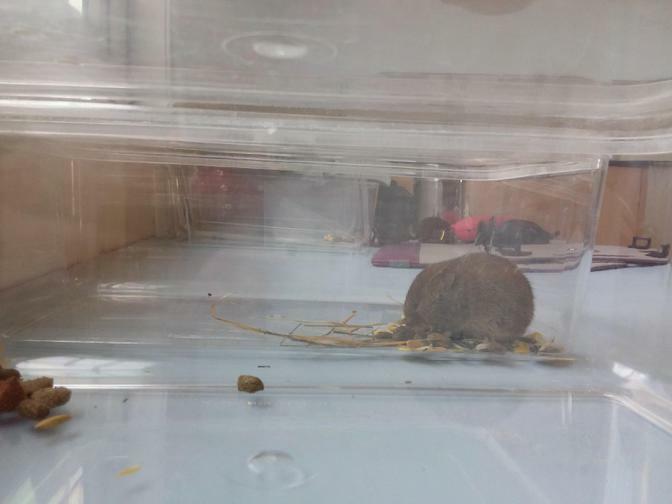 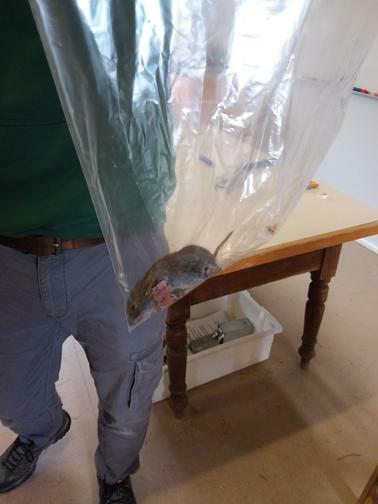 Between them they found 5 Bank Voles and 1 Mouse.The children really enjoyed examining them closely and learning about these animals. 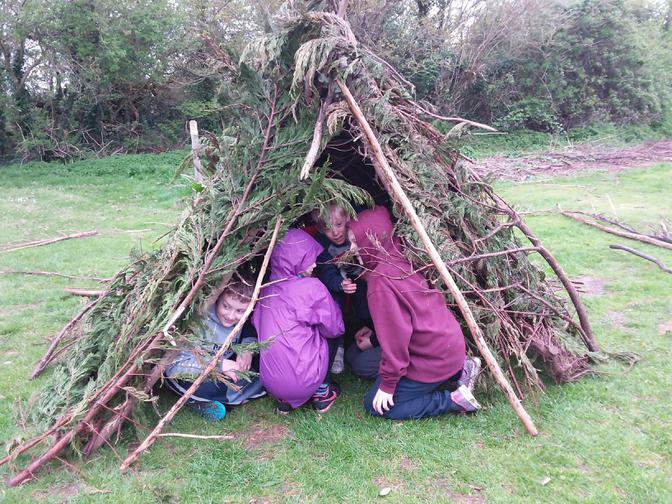 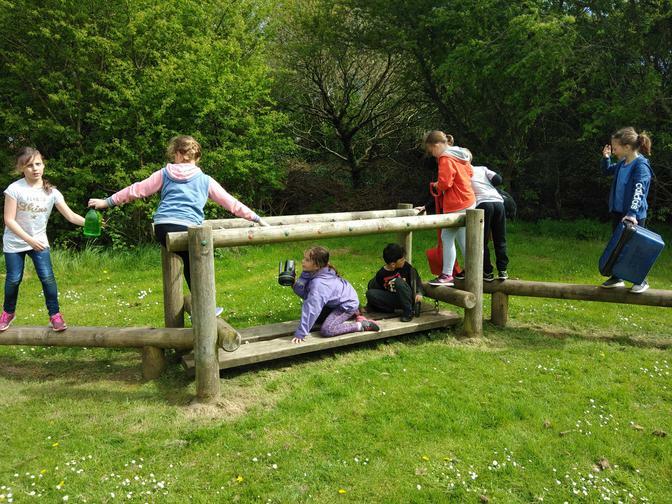 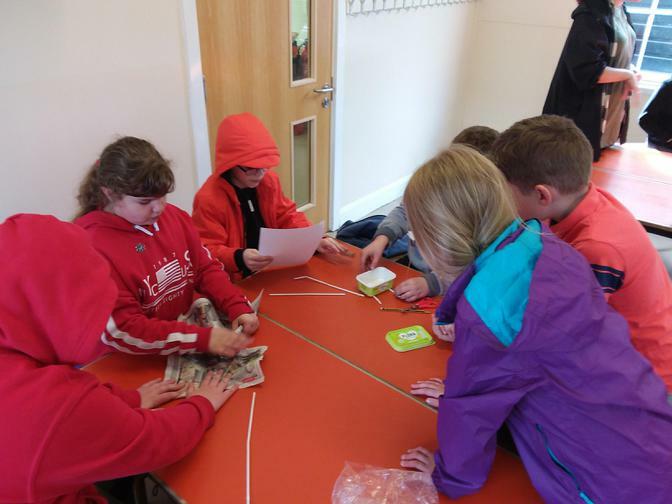 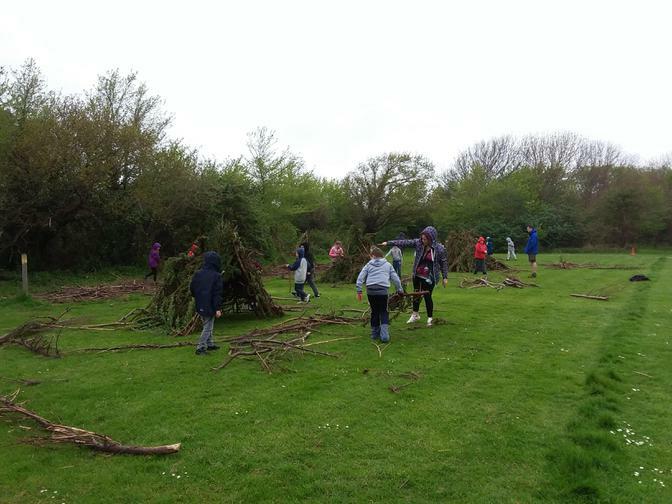 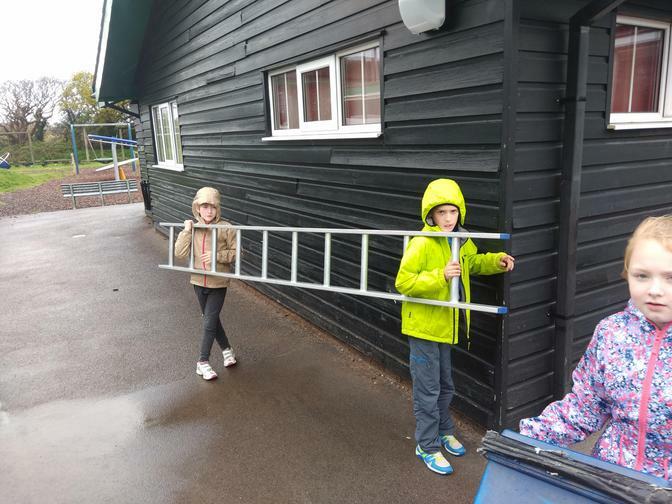 In the afternoon, the children braved the rain and spent the afternoon searching for sea creatures and making rainbows out of natural materials. 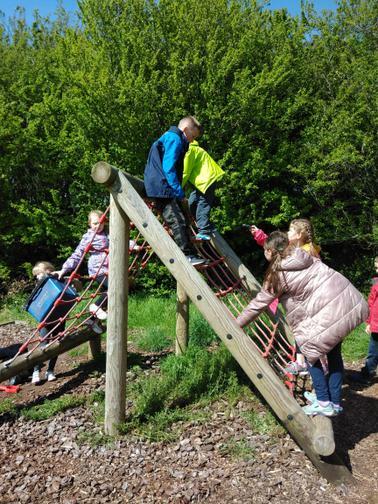 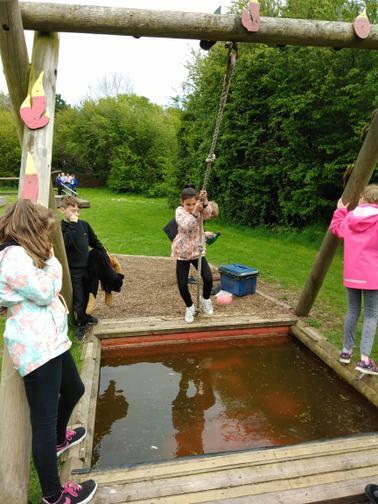 The children have had a fun packed day today! 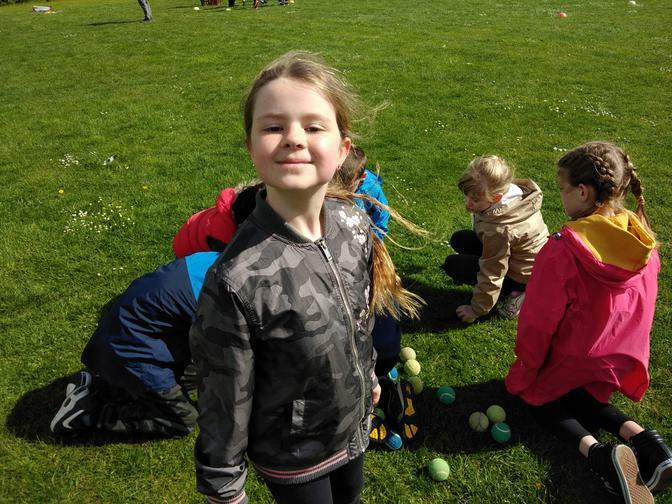 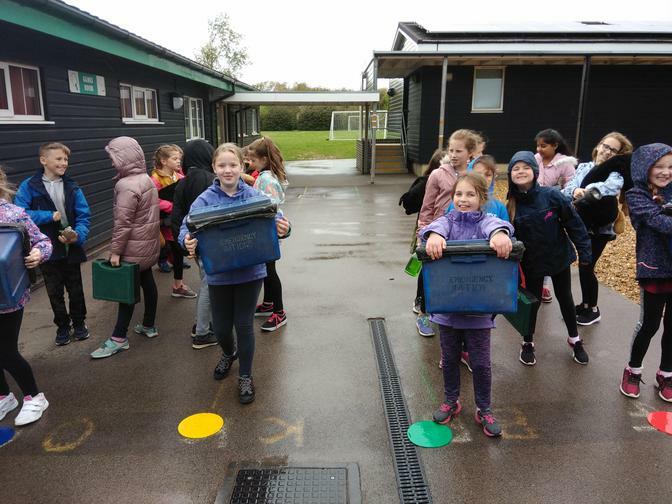 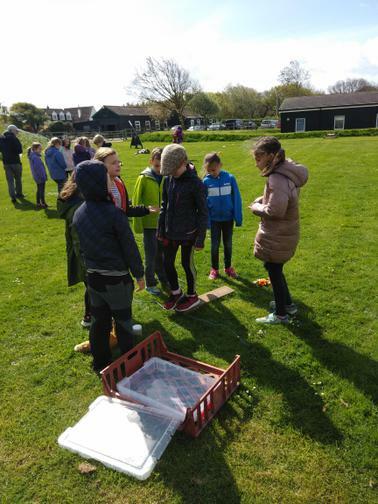 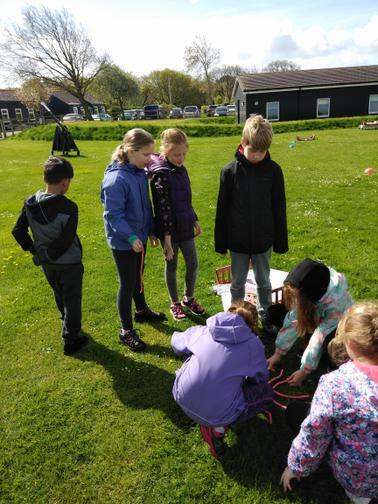 They have been working as a team to create the best protection for their eggs before they faced the catapault and made the most waterproof shelters. 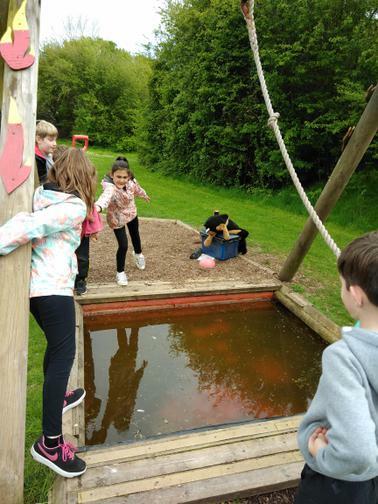 None survived getting wet!. 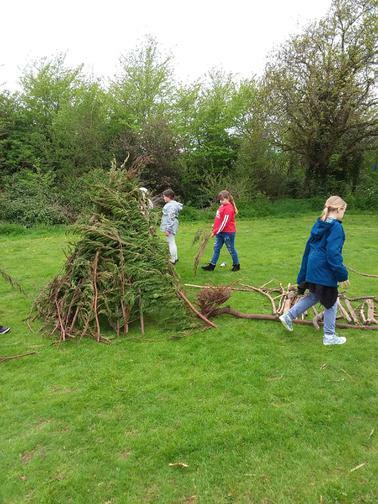 The children finished their afternoon of activities by creating mammal hotels to leave out overnight. 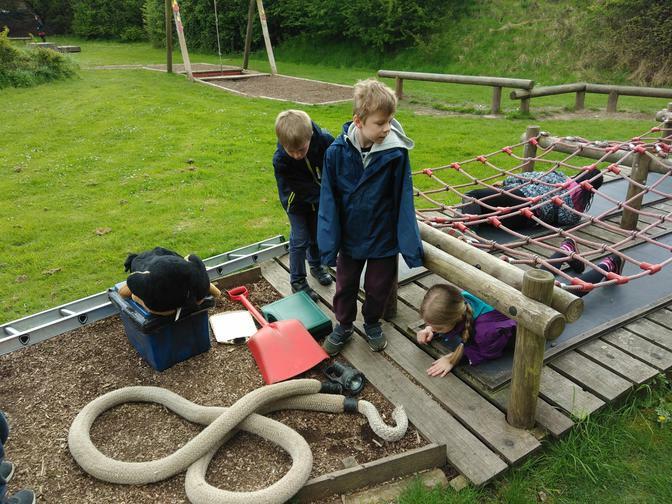 I hope they find something tomorrow. 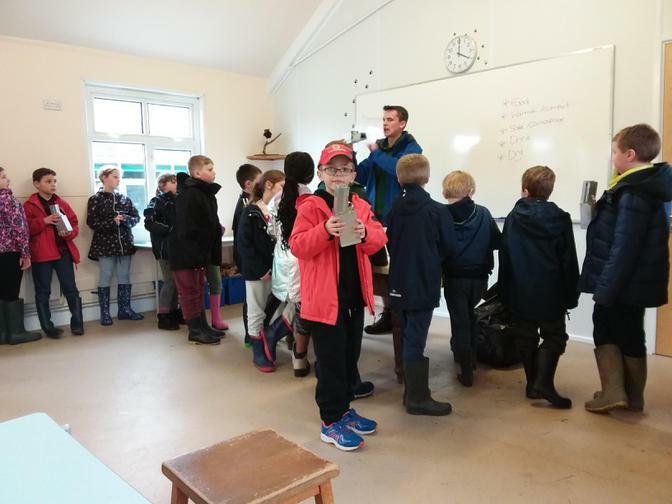 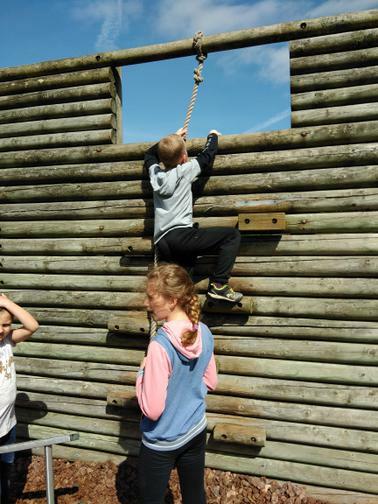 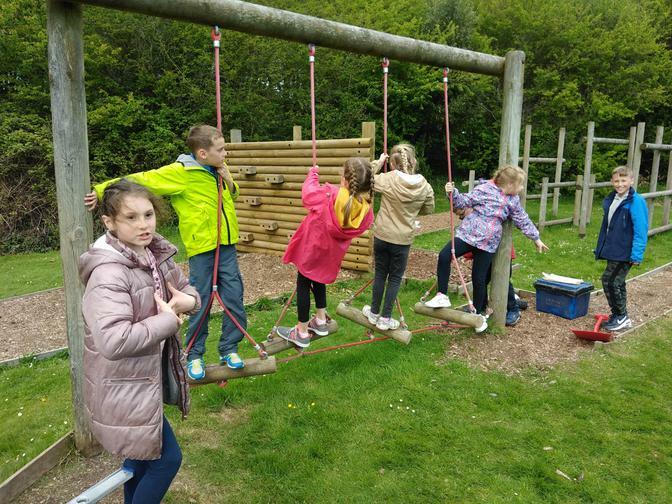 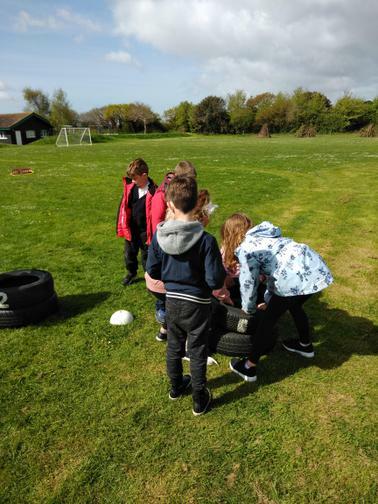 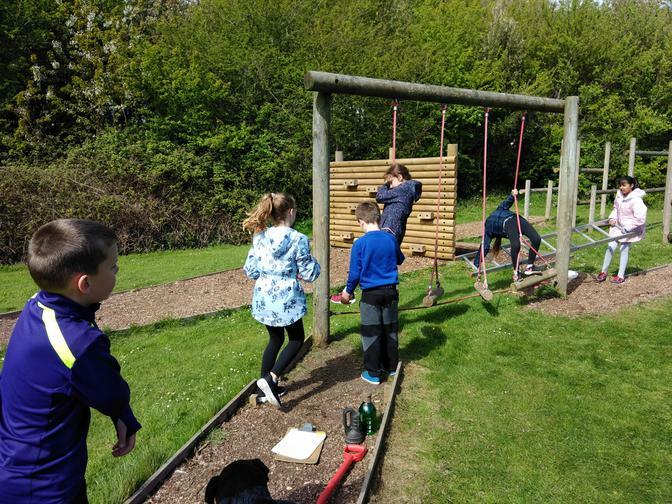 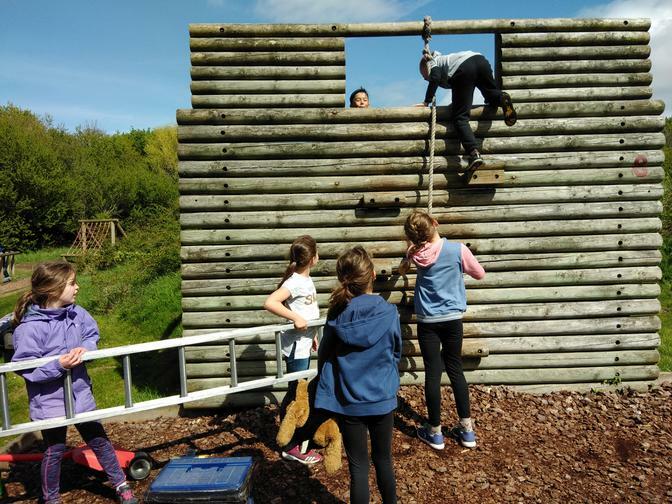 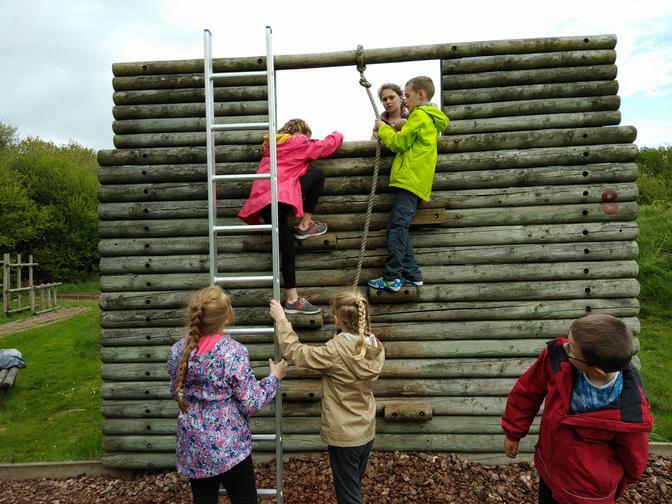 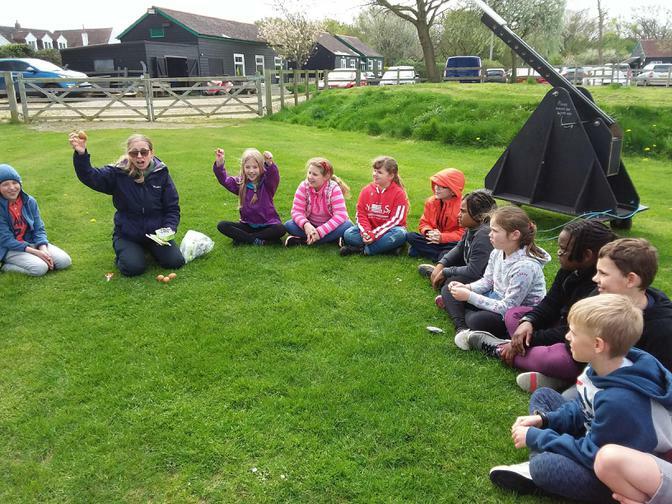 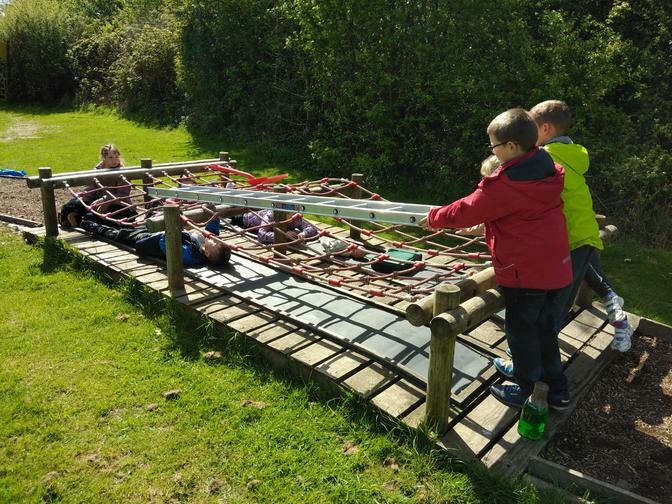 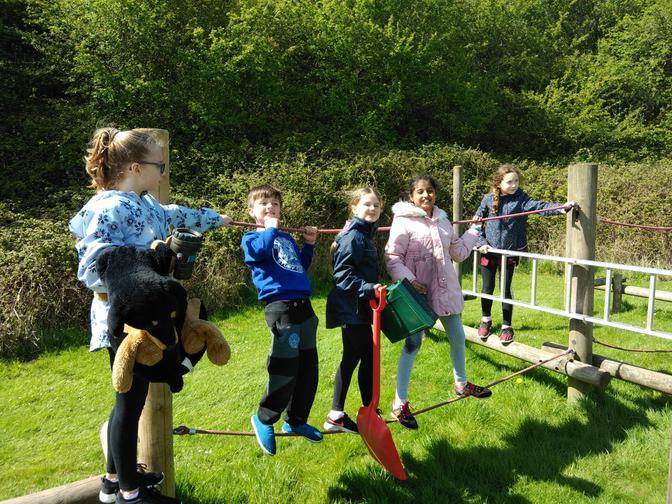 I am happy to say that the children have arrived safely at Stubbington and are all settled in their rooms for the week. 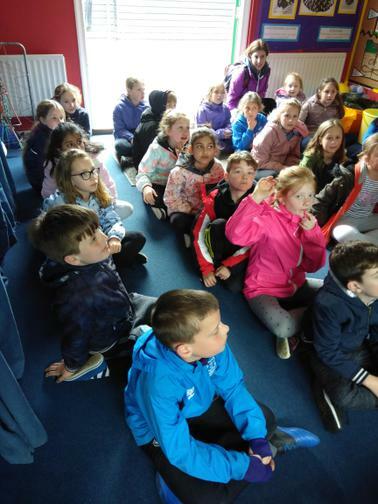 They have enjoyed their beach walk, even if it is a little windy! 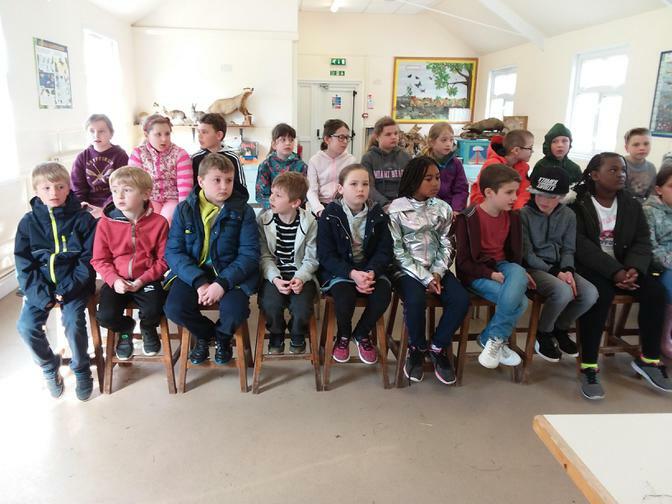 They have been taught lots about the animals and building that are along the beach front.